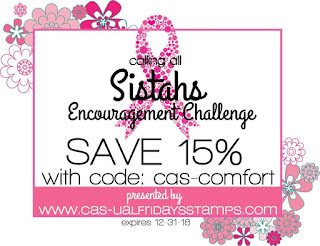 It is challenge day at Calling All Sistahs. 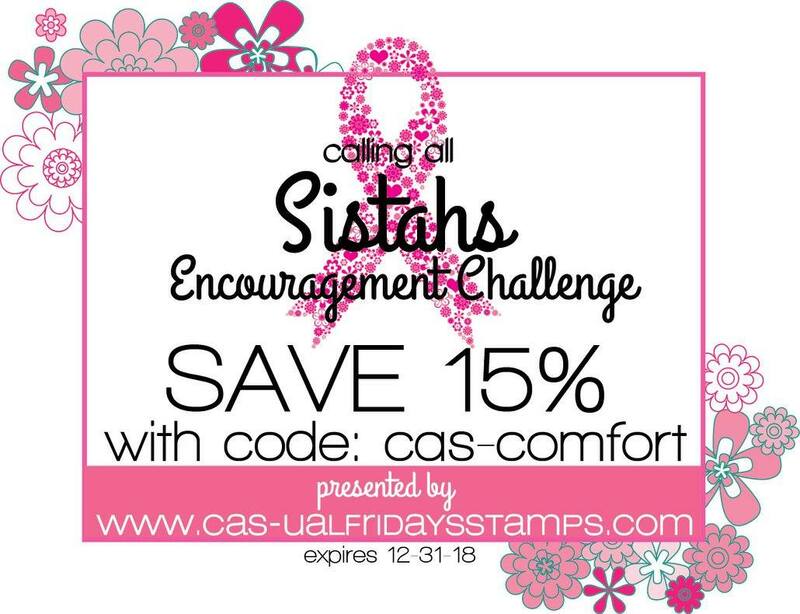 This is your chance to make an encouragement card for a friend or loved one, then enter into our challenge for a chance at prizes. 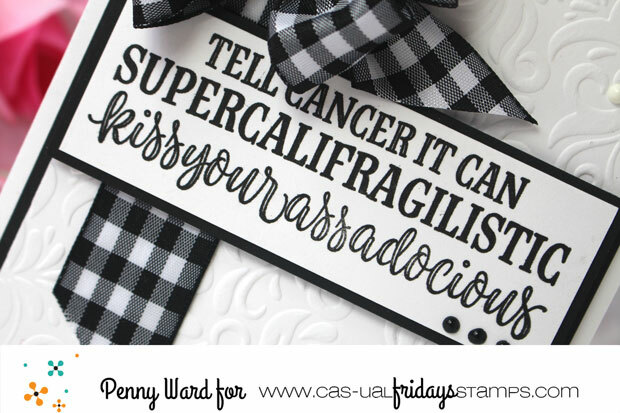 Any kind of encouragement card will do...someone with a cold, someone who broke their arm, someone with cancer. We all know someone who could use some snail mail pick me up! How much do you love this sentiment?!? It is from the Supercalifragilistic stamp set and there are several others in the set that are just as snarky. Most of you know I have this obsession with Black and White plaid, so I was super excited for this challenge. 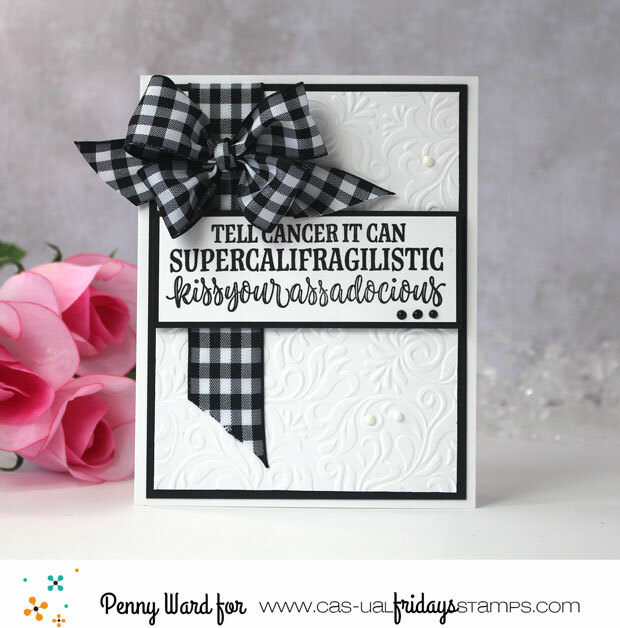 Penny, your cards always give me the "warm fuzzies". Your bow is sheer perfection! 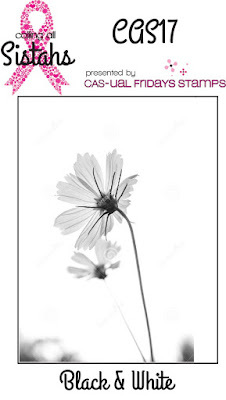 I love how much texture and interest you've added to your card!!! It is truly a work of art. 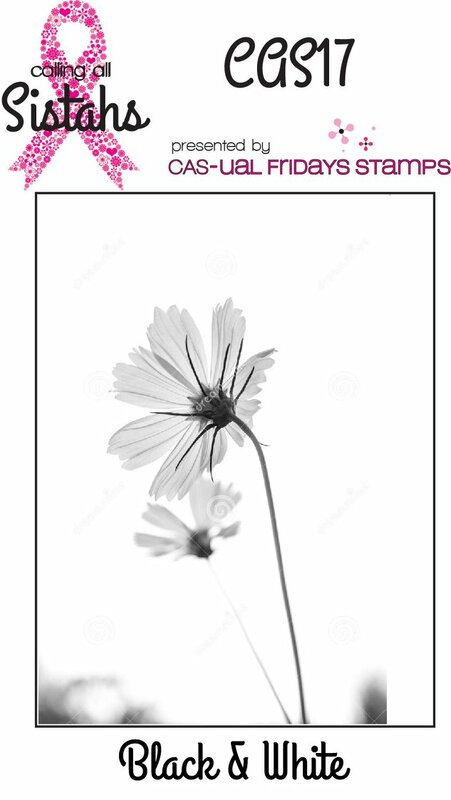 This is a wonderful card done in black and white. I think black and white always make such an impact. The bow is beautiful and I love, love, love that sentiment.